We don’t camp very often, but when we do, we prefer spending a luxurious weekend in an RV at Newport Dunes in Newport Beach, CA. This waterfront campsite has a floating water playground, rentals for kayaks and stand-up paddleboards, beachfront fire pits, and fun festivities year round. Oh, and they have a nice pool with jacuzzi, a convenience store, and a restaurant on site with gorgeous panoramic views of Newport’s Back Bay area. 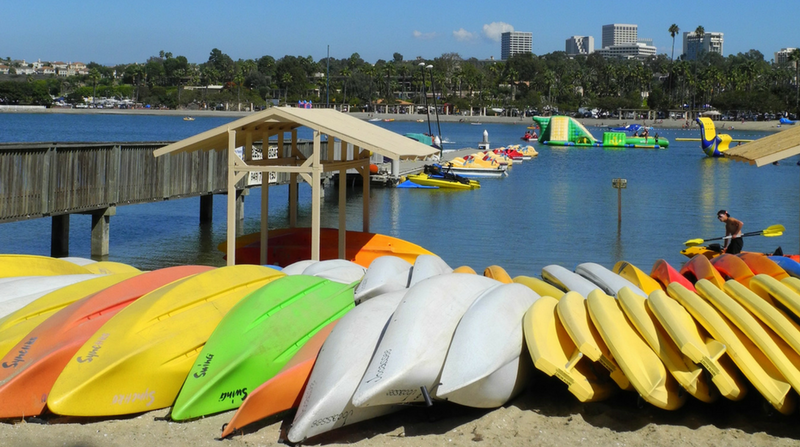 Our video highlights some of the fun kid-friendly activities at Newport Dunes that makes it one of our favorite spots in OC!